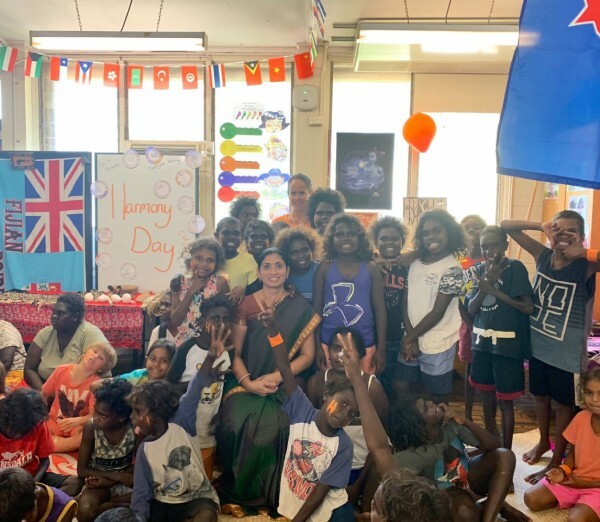 Maningrida School students in Year 3/4 celebrated Harmony Day on Thursday, March 21. Teachers Rose Johnson, Caitlin Field and Rachel Thorne organised a fun day for their students and families to celebrate Harmony Day which is about inclusiveness, respect and belonging for all Australians, regardless of cultural or linguistic background, united by a set of core Australian values. There were visitors from Australia, New Zealand, Zimbabwe, Solomon Islands, India and Fiji. 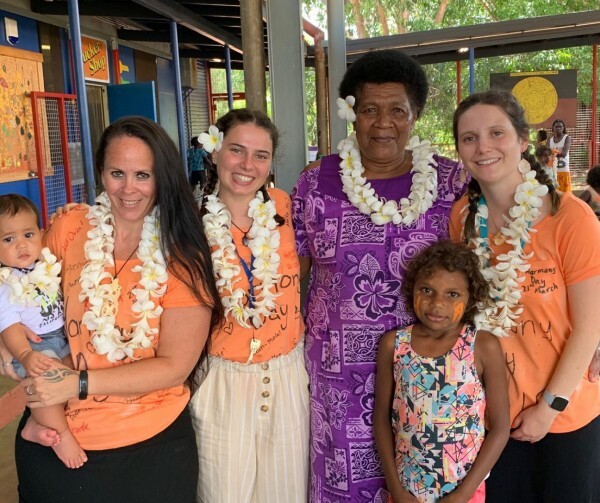 The students had fun learning to say ‘hello’ in different languages, dancing Bollywood style, tasting Fijian donuts, singing in Maori, seeing photos of African animals, having a shared lunch and understanding the true meaning of Harmony Day which is celebrates that “everyone belongs” – student Desmond Ross said.